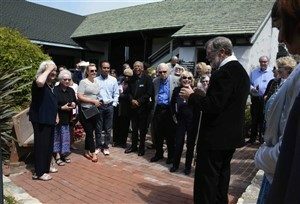 On Sunday, July 1, 2018, Reverend Dr. Mark Bollwinkel dedicated our new special area for Wedding Bricks at the Lincoln Avenue entrance to our garden area. 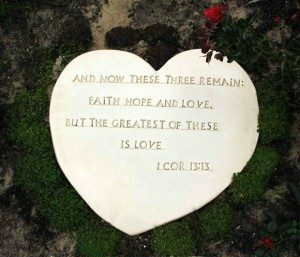 Using his extensive pottery making skills, Pastor Potter Mark created a ceramic heart headstone for our new Wedding Brick area. 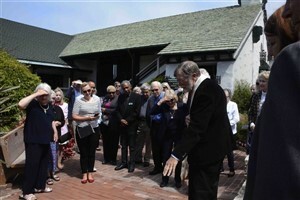 Now couples who get married at the Church of the Wayfarer (and other married couples) have the option of ordering a Wedding Brick in celebration of their special day. 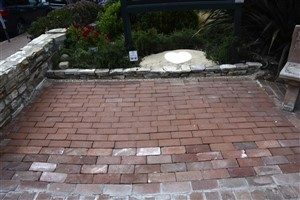 Wedding Bricks may be purchased for $500.